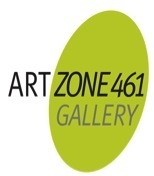 As we transition from our physical location and move forward, ArtZone 461 Gallery now maintains a fresh internet presence. 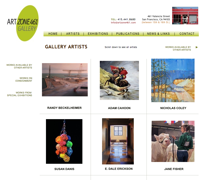 This site remains your access to the works, artists and consignments exhibited at the Gallery. Please contact us by phone or email if you would like to inquire about any works or set up an artist‘s studio visit. Thank you. DISCLAIMER: We believe all pricing information posted in this website to be true and correct. We reserve the right to make corrections to the prices, in the event of legitimate errors or as needed. An amazing collection of Estate Sale items culled from Generations of Collections. 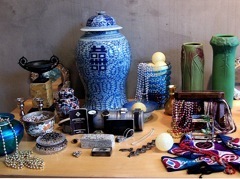 Items as inexpensive as one- and two-dollar toys to sets of china, fine art glass & pottery and other objets d’art. An amazing collection of Rare and Unusual Art Books and Magazines from throughout the 20th Century, Contemporary Magazines, and Auction Catalogs. 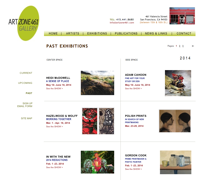 Most from our Gallery's archives and priced to sell.